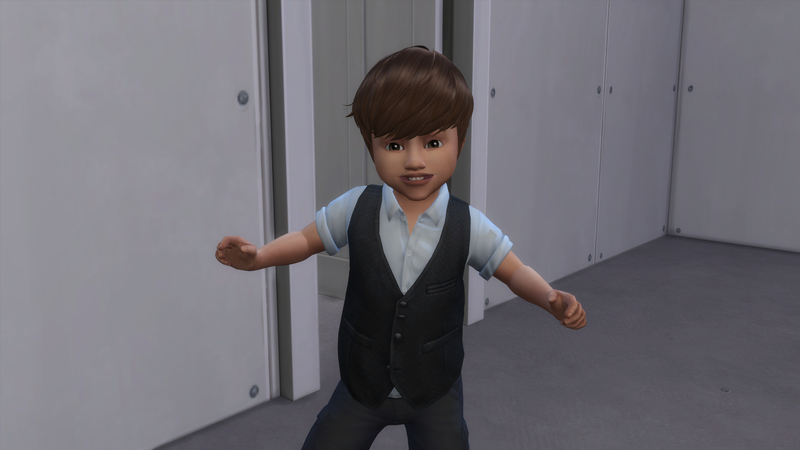 We left off with Yunho having just aged to toddler. 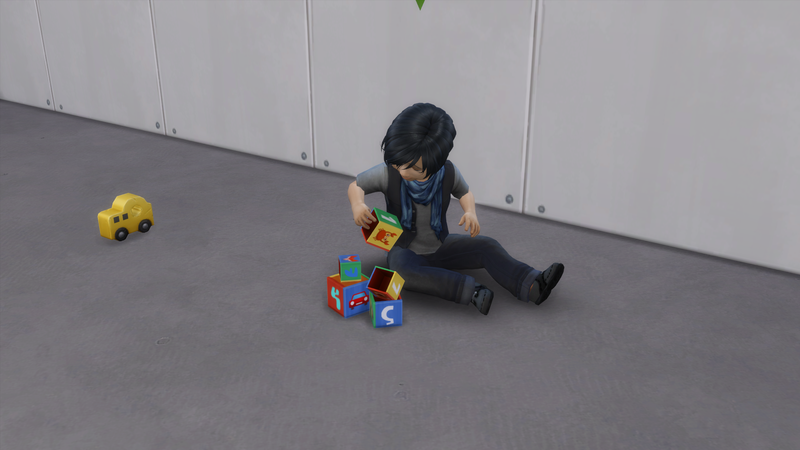 First thing done is teach him some flash cards so that his Thinking skill gets high enough so that he can build it on his own with the blocks. Which doesn’t take too long and soon Yunho is pretty much left to fend for himself. Except for learning to potty. Can’t wait for a toddler to roll Independent. 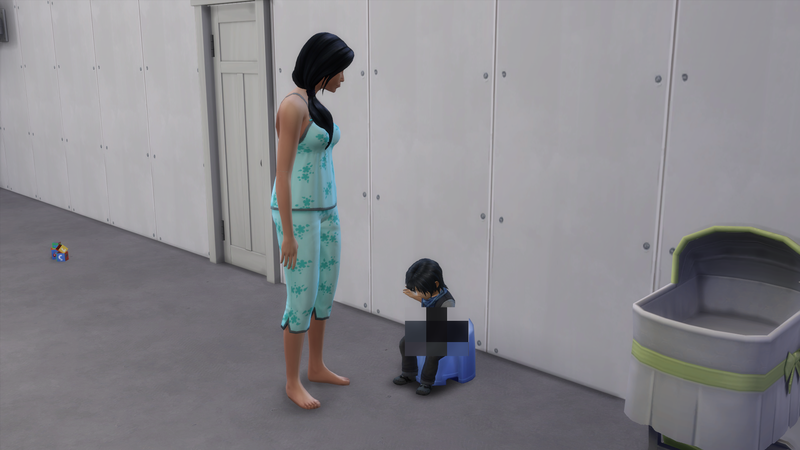 They don’t need help with learning to potty. 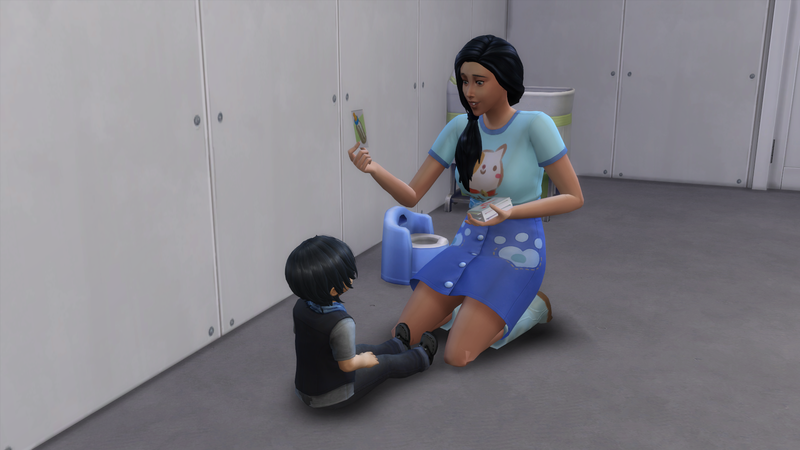 Caleb came over on his own and he autonomously changed Yunho’s diaper. 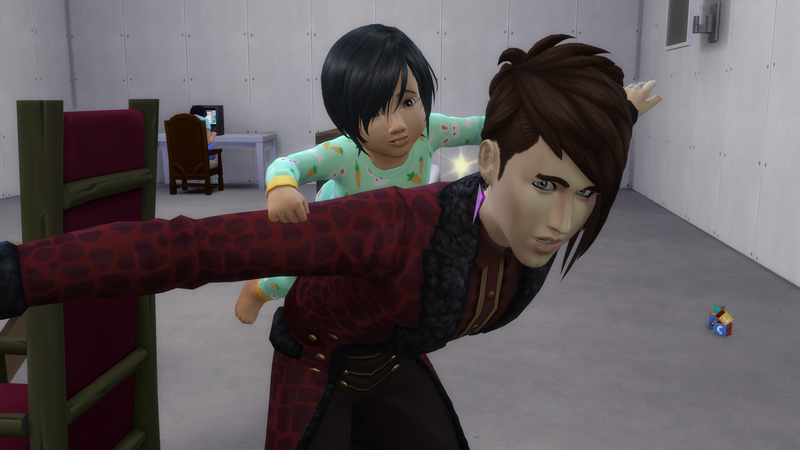 I then proceed to have Caleb entertain Yunho so that Korea can work on her novels. I even con Caleb into finishing up his potty training. At least the levels that require a parent or guardian to help. Caleb honestly comes over like every other day. It’s adorable. I wonder how long he will keep it up for. Working on getting the second baby daddy lined up. 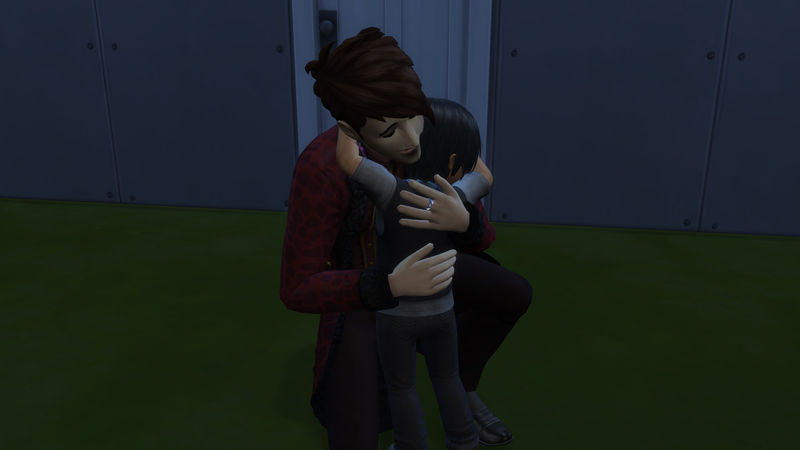 Don Lothario is up for the second baby daddy. And this little guy is an adopted kid that I forgot to take a picture of as an infant. Meet Idol Jaejoong. He rolled Silly as his trait. And that is it for this chapter! 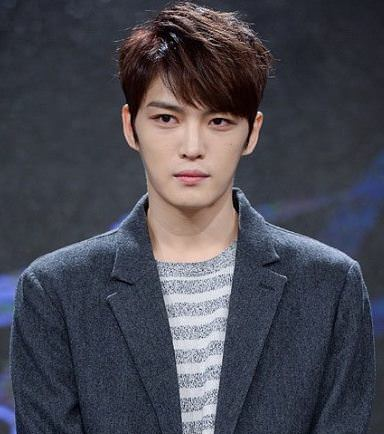 Idol Jaejoong is named after Kim Jae Joong. He originally debuted with TVXQ under the stage name Hero, however when he split from TVXQ and debuted in JYJ, his stage name changed to just Jaejoong. Since he’s been a part of JYJ longer than TVXQ and even the members of TVXQ going more by their real names interchangeably with their original stage names, his stage name with JYJ is used. Jae Joong was born on January 26, 1986 in Gongju, Chungcheongnam-do, South Korea. While a member of TVXQ his roles were: main vocalist, visual, face of the group and those are his current roles in JYJ. JYJ debuted in April 2010 under the company C-JeS Entertainment with former TVXQ members Jaejoong, Yoochun, and Junsu. They debuted with the Japanese mini-Album The… that had relative success. Their follow up to that was a full album titled The Beginning done in English released in 2010 despite the efforts of SM Entertainment to stop it. SM Entertainment had filed an injunction to stop the sales of the album as the legal battles between JYJ and SM Entertainment were not over. The digital distributors defied the injunction and released the album anyway. The album also has a song called “Ayyy Girl” which features Kanye West and Malik Yusef. JYJ also holds the distinction of the first international artist featured in Billboard’s magazine. JYJ is currently on hiatus due the members’ mandatory 2 year military service. This will probably end sometime in early 2019 when the final member, Junsu, is discharged from service. The following YouTube video is of TVXQ’s debut song “Hug”. Please keep in mind that the video was recorded back in 2003. It was released on December 26, 2003. All five members of TVXQ were under 18 in international age at the time the video was released.